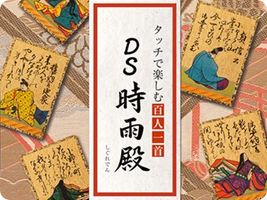 A series of games based on the Hyakunin-Isshu poem cards. The name means "100 Poems by 100 Poets", and these classic Japanese games require memorization of each of the poem cards. As well as playing the game against the computer or a friend, the game also provides tools to help you improve at the game, such as memorization tests and background information on each of the poems.